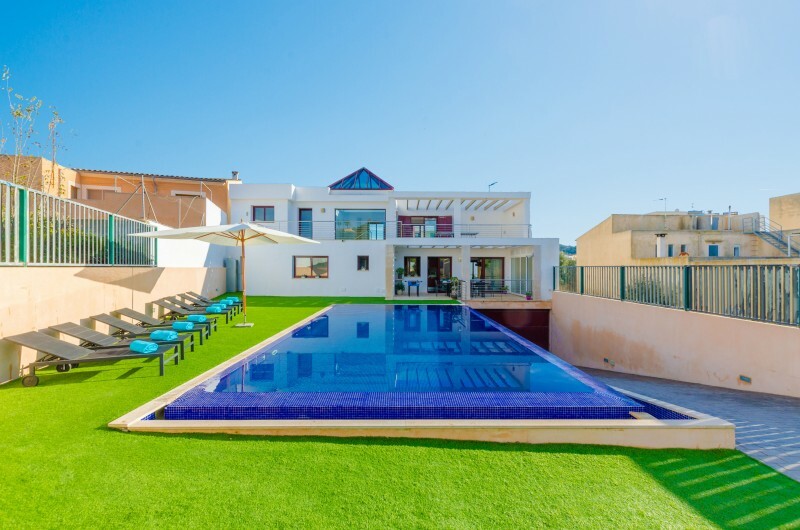 The exteriors are beautiful. 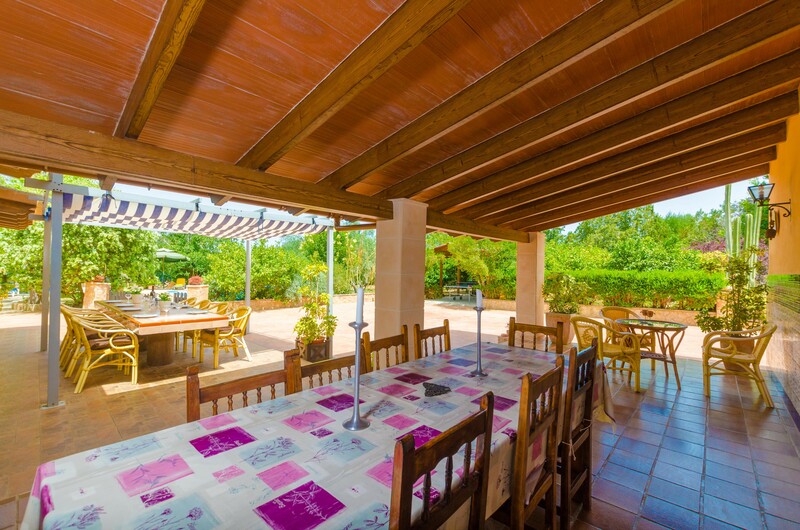 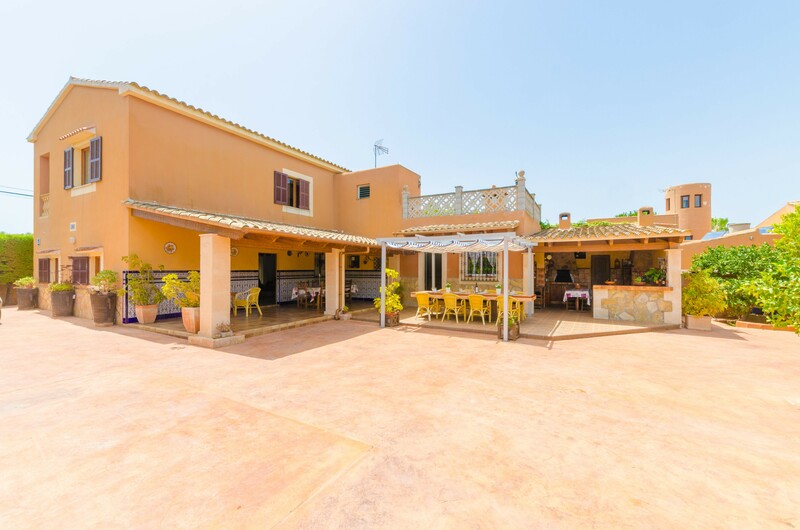 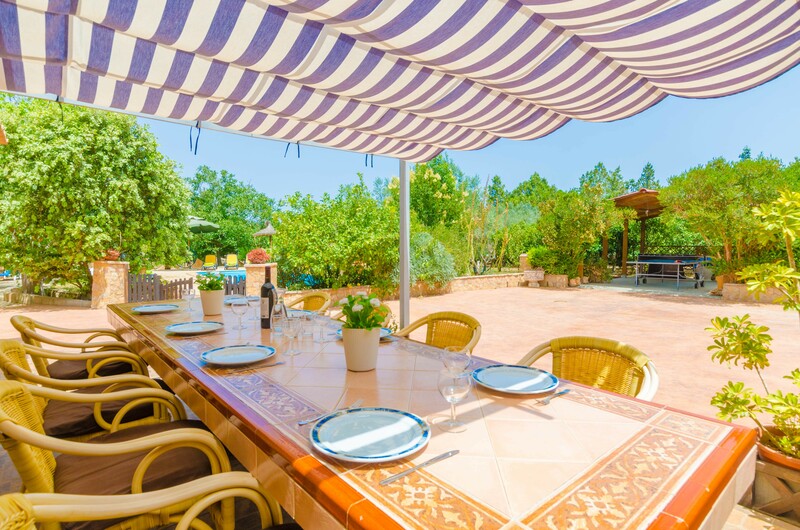 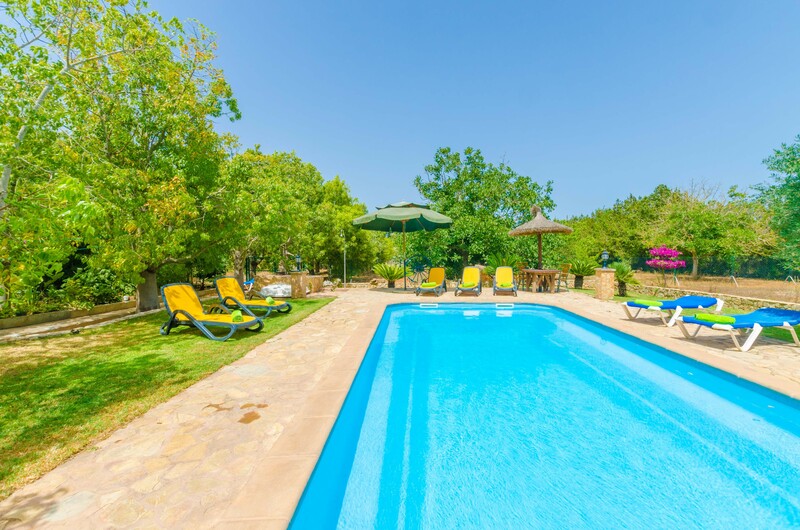 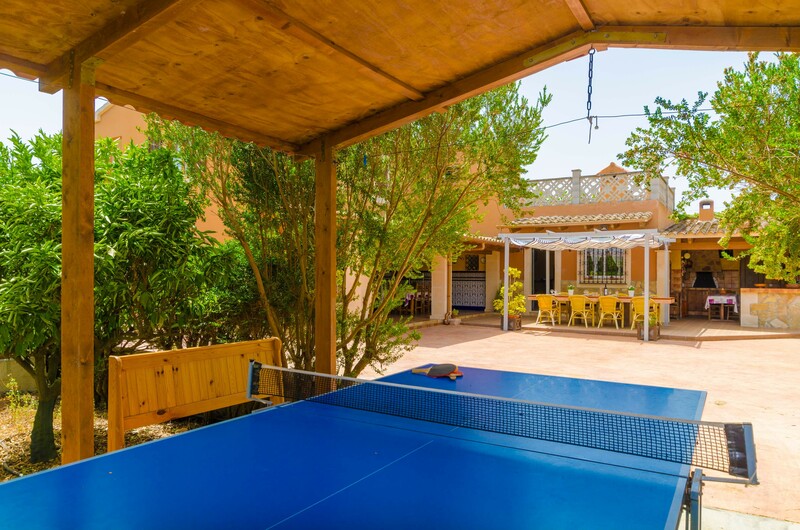 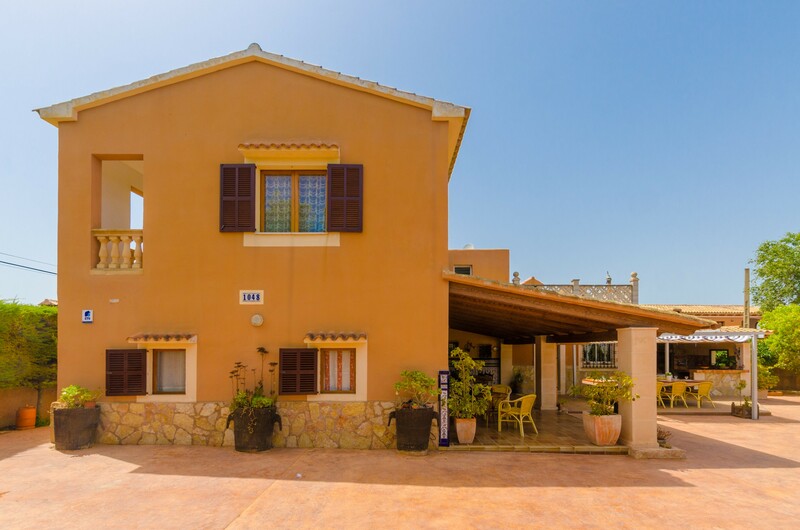 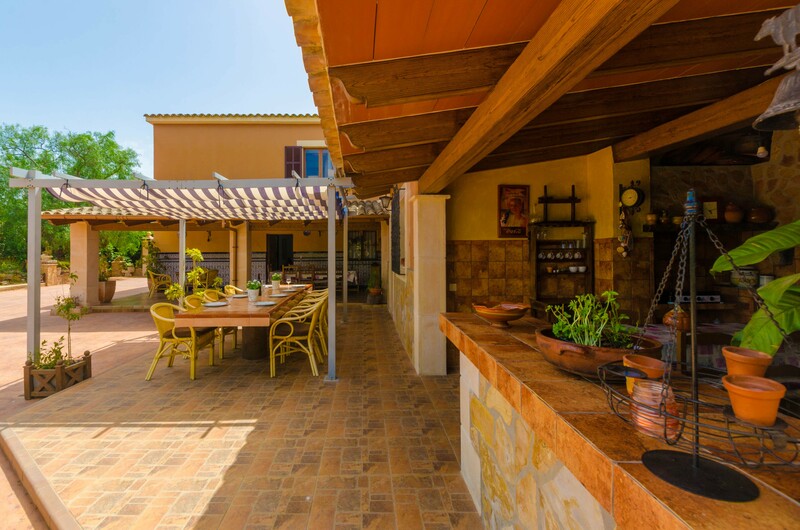 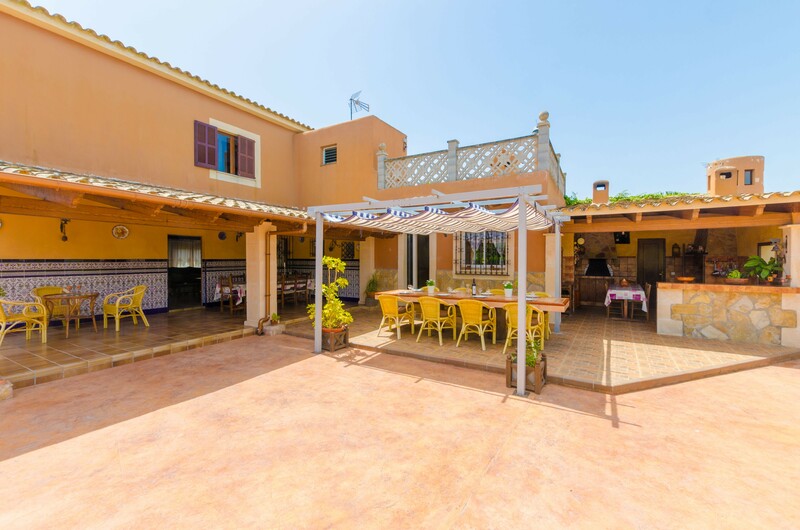 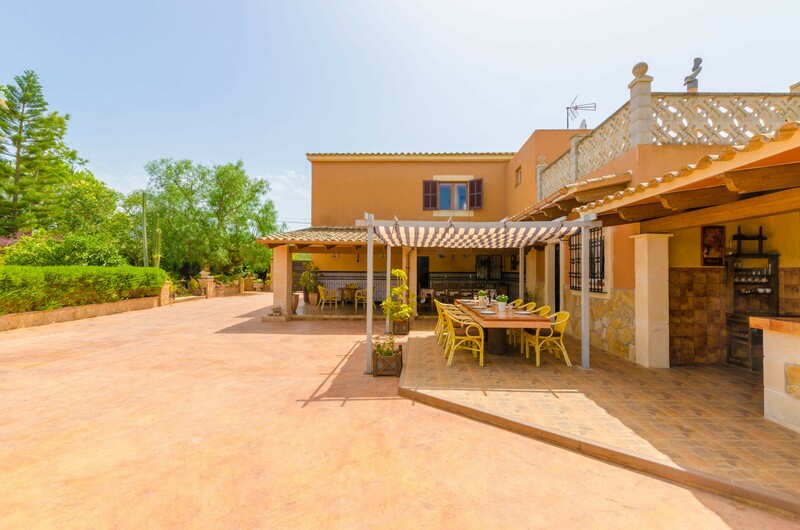 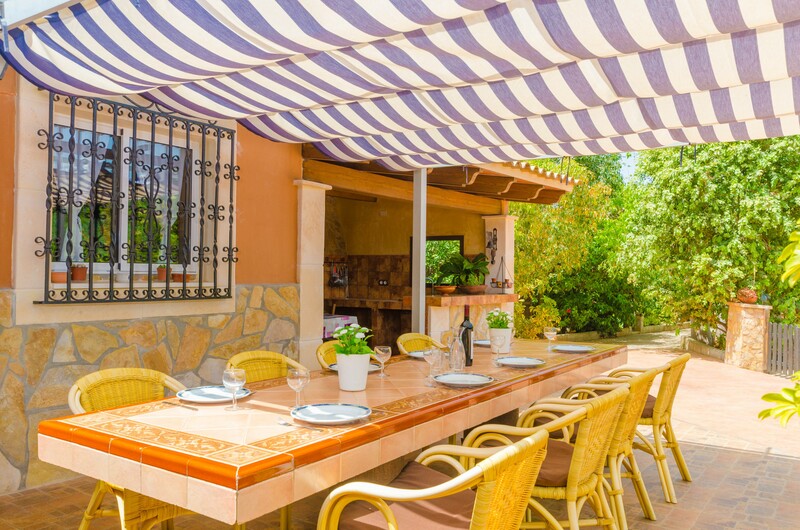 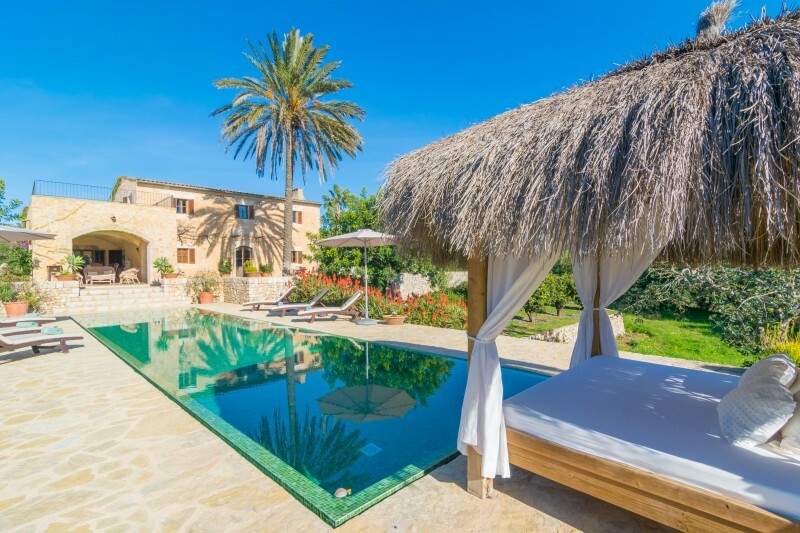 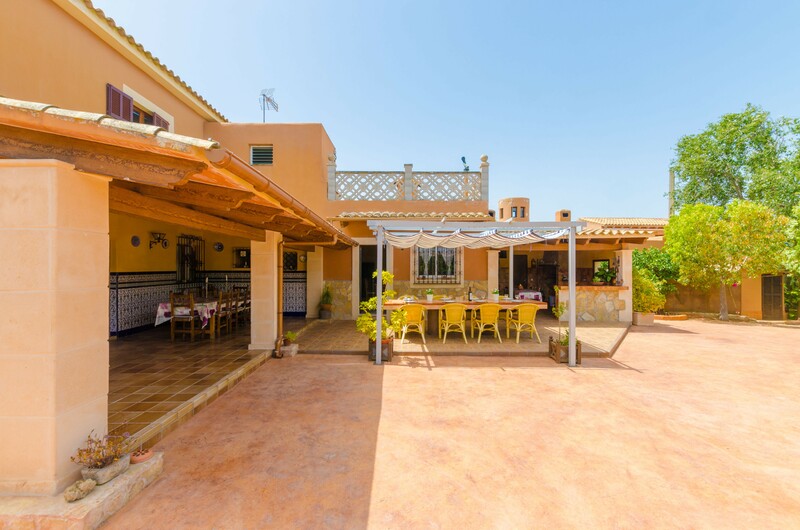 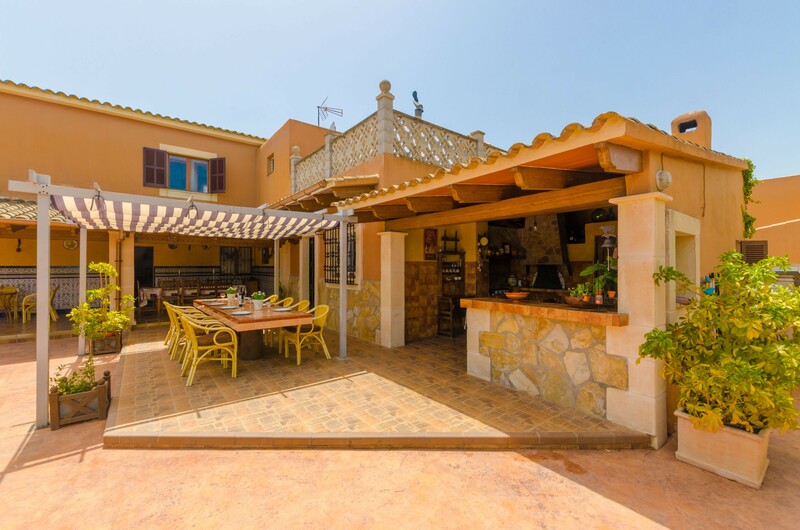 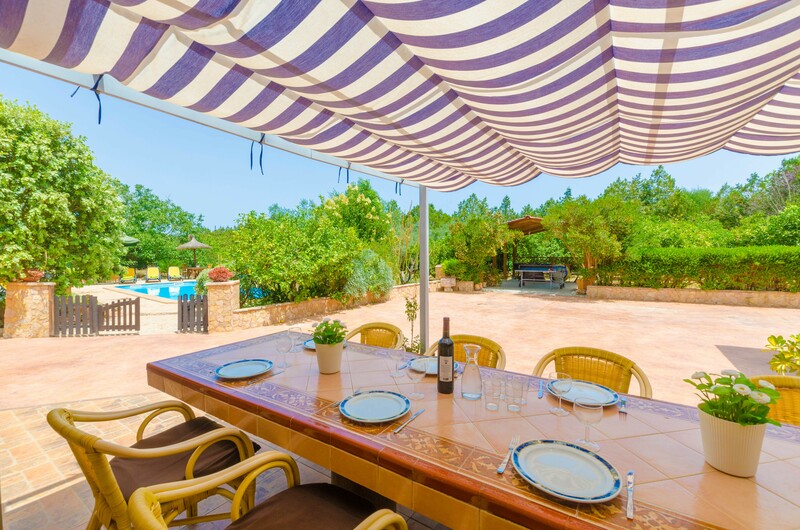 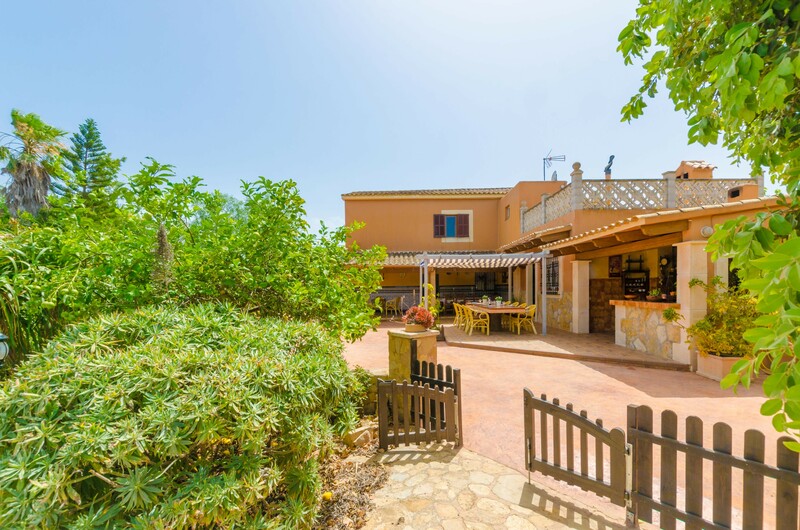 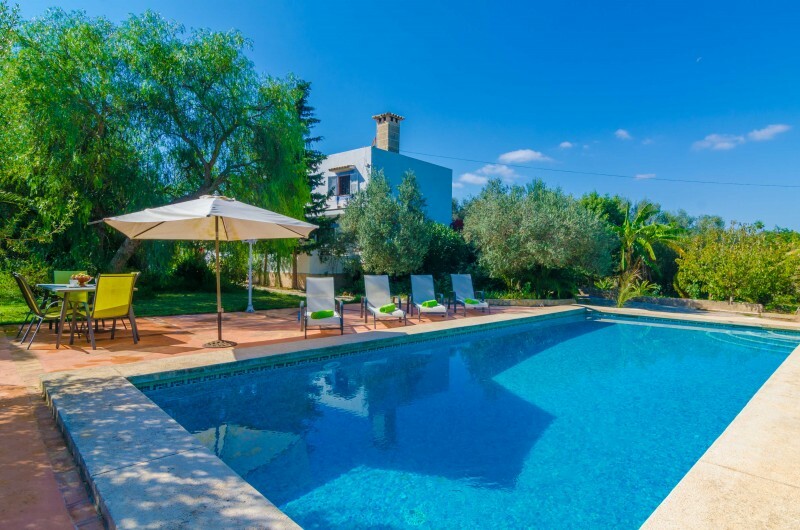 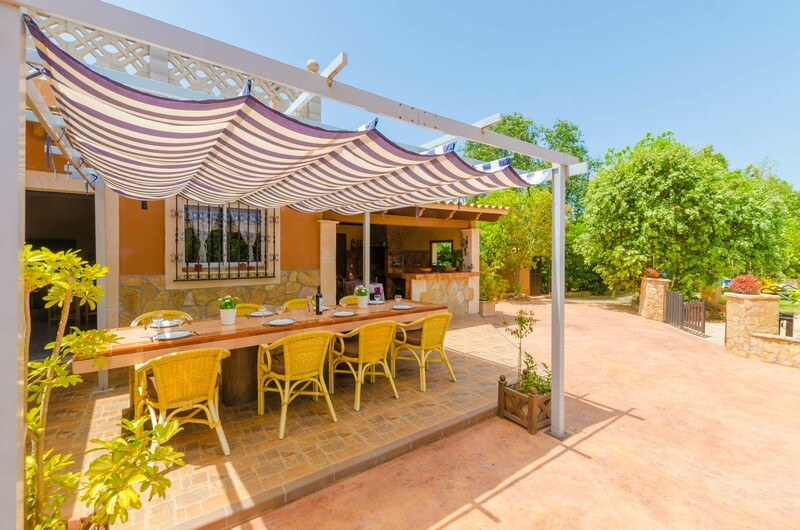 The most distinguishing detail of this nice villa is the private, 9.7 m x 4 m chlorine pool with a depth ranging from 0.9 m to 2 m. There is a porch with BBQ and bread oven, where you can enjoy large dinners. 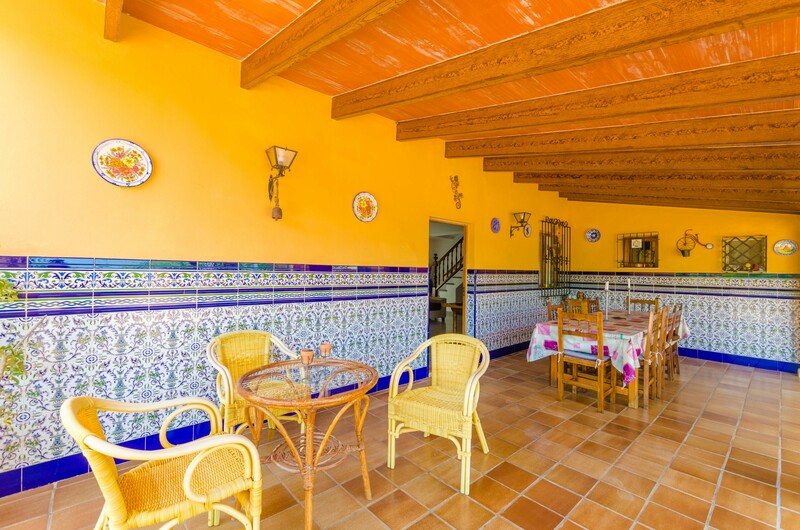 Additionally, there is another porch and one terrace on each floor. 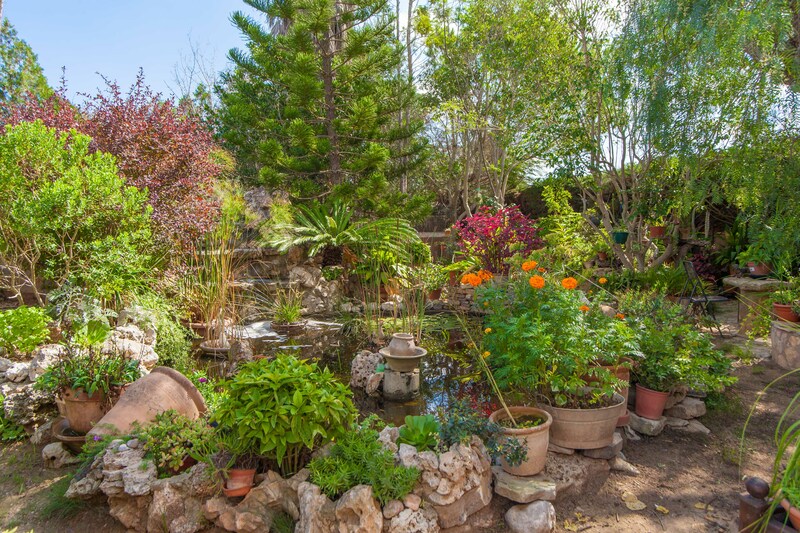 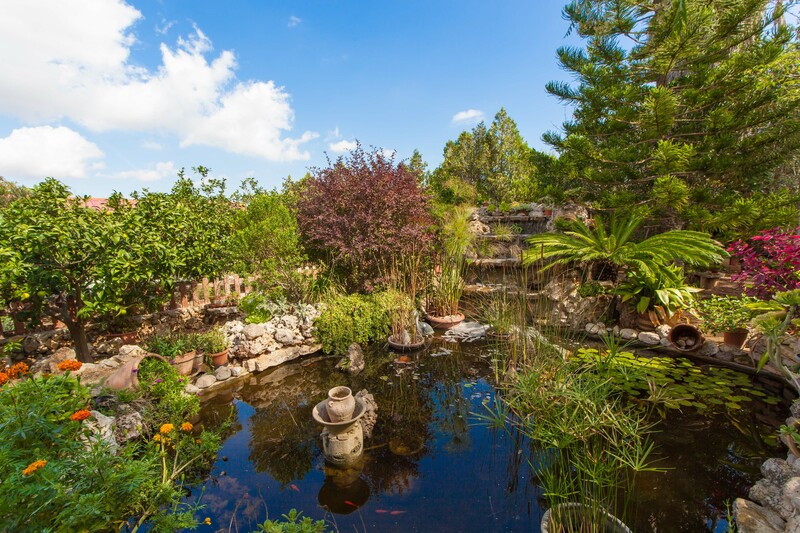 The plot has a well-kept garden with fruit trees and a fish tank. 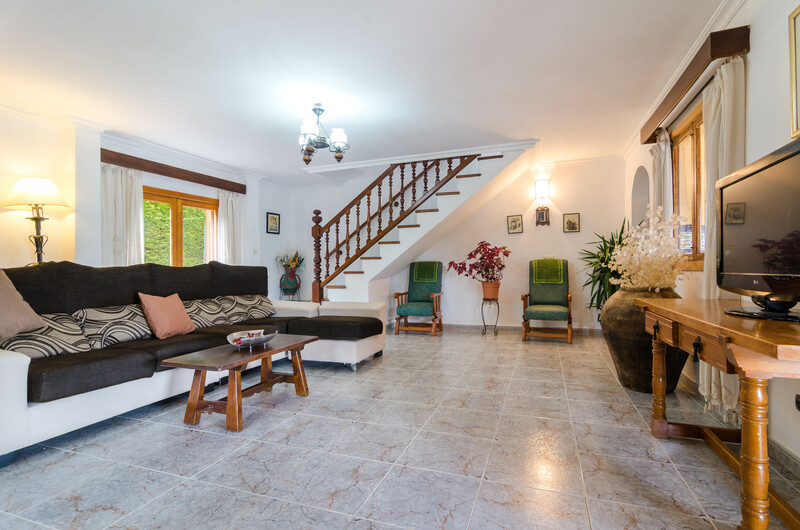 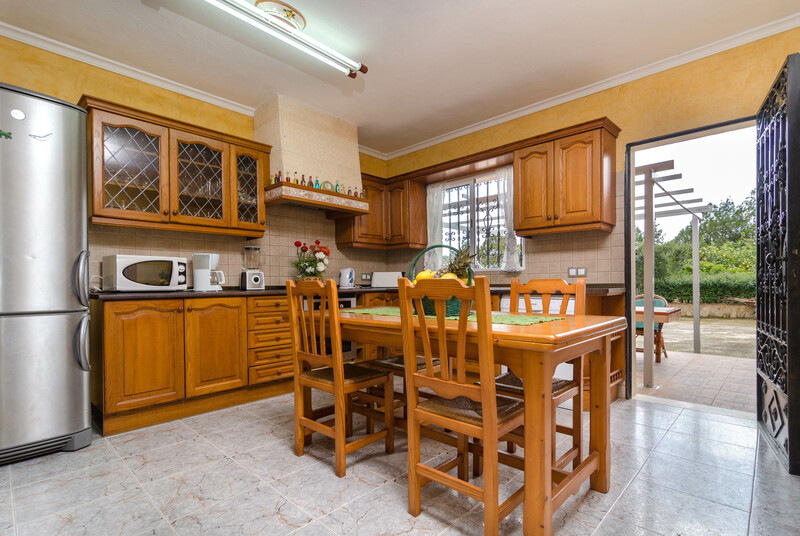 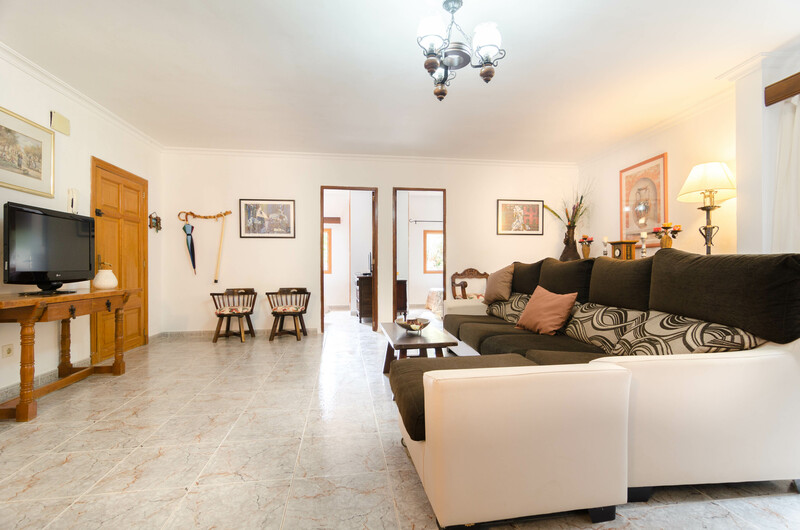 This 300 m2 house is composed of two floors, six bedrooms, three bathrooms, an invitingly sitting room with satellite-TV, a fully-equipped kitchen with dining area and vitro hob and a laundry room with washer, iron and ironing board. 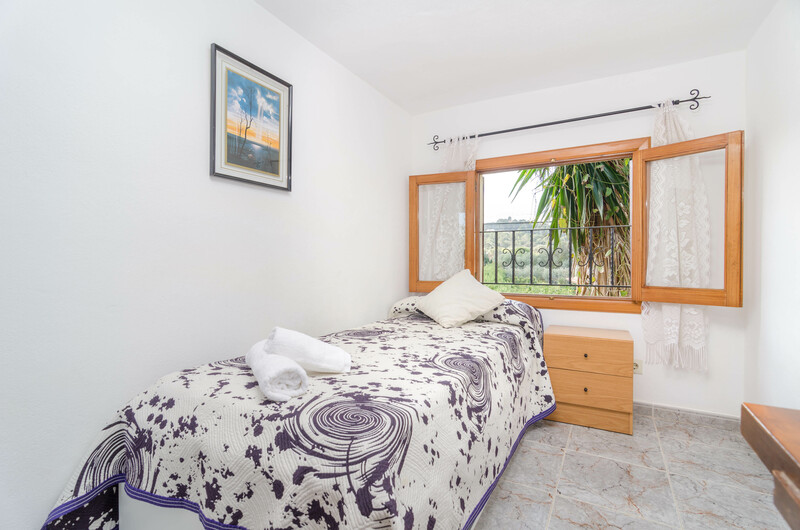 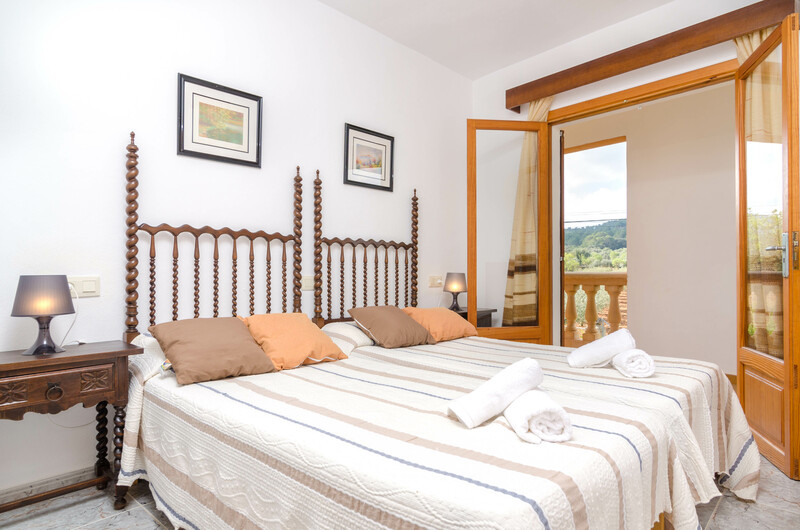 There are two bedrooms with twin beds on the ground floor and four on the upper floor, two with one single bed each, one with a double bed and one bedroom with twin beds. 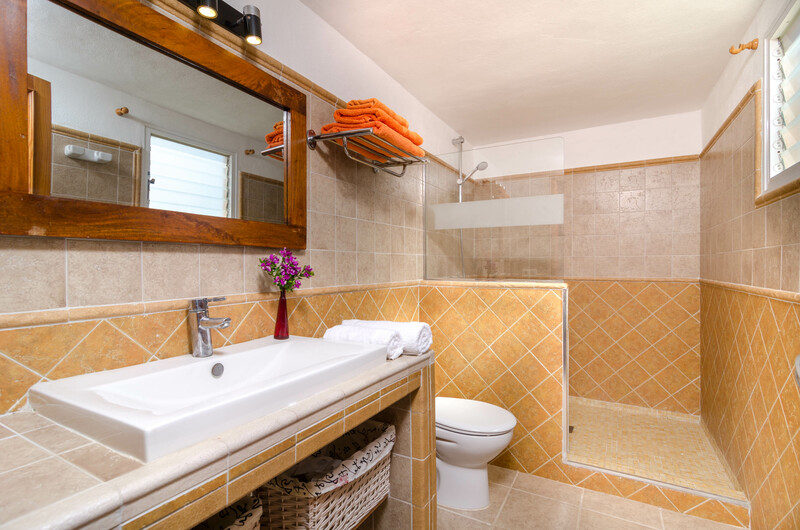 Regarding the bathrooms, there is a shower bath on the ground floor. 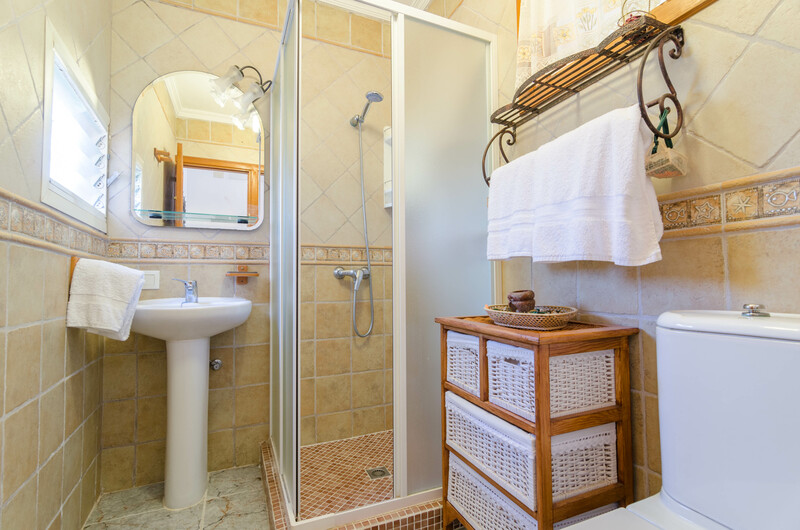 On the first floor, there is one bath with bath tub and another shower bathroom. 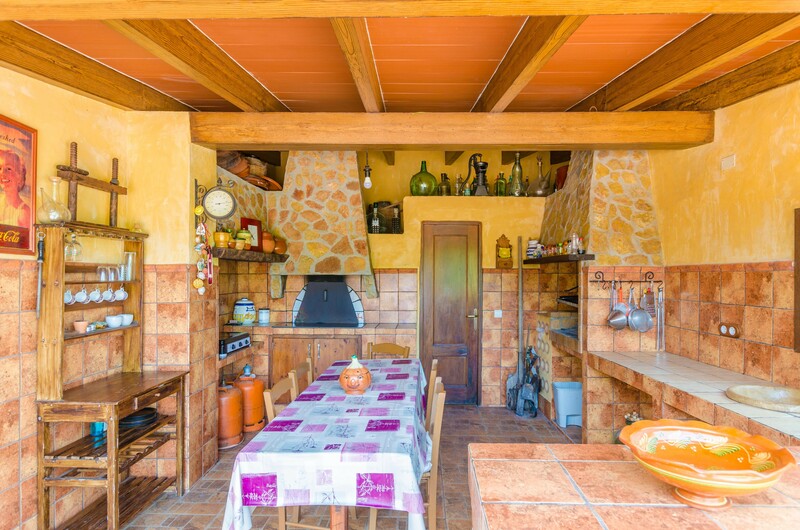 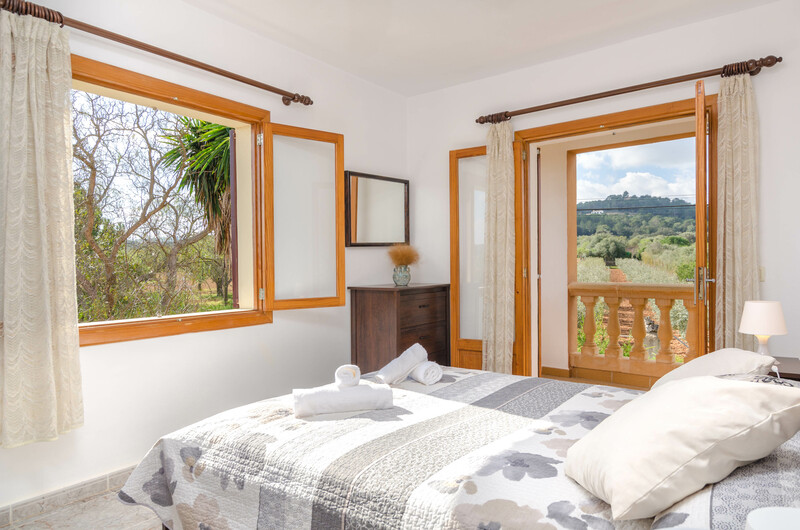 Surrounded by fields, this pleasant property is situated 2 km from the village Felanitx, where you will find all necessary amenities for your stay. 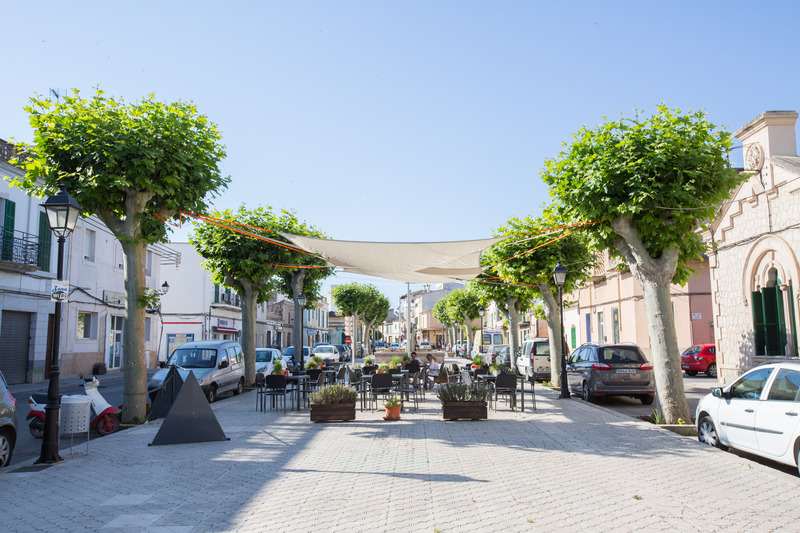 On Sunday takes place the local market, where you can buy fresh fruits and vegetables from the farmers, clothes and much more. 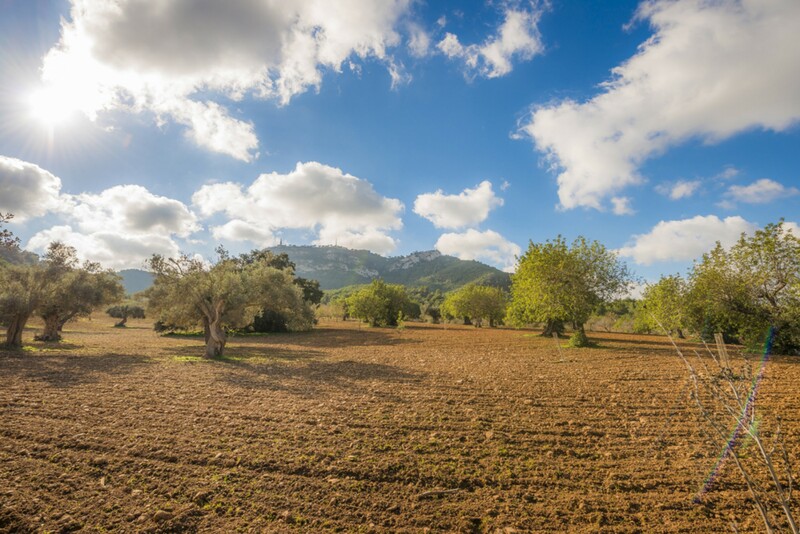 Particularly, the landscape is characterised by wide fields and rolling hills and old windmills; an idyllic place to get away from it all! 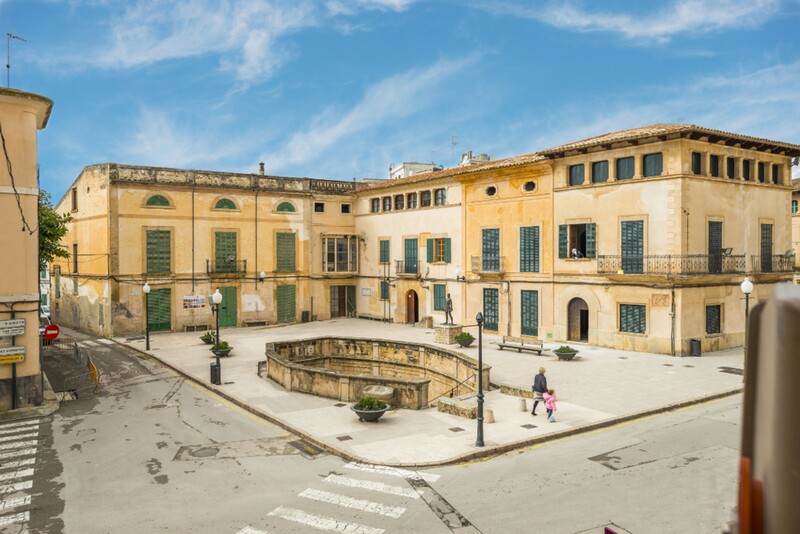 Furthermore, you can visit the Santuari chapel, by car or bicycle. 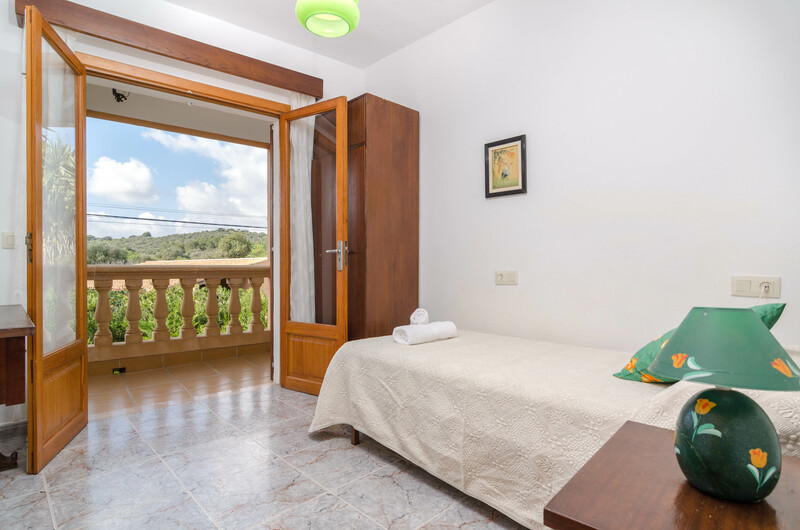 If the beach is what you are searching for, a short drive takes you to the coast. 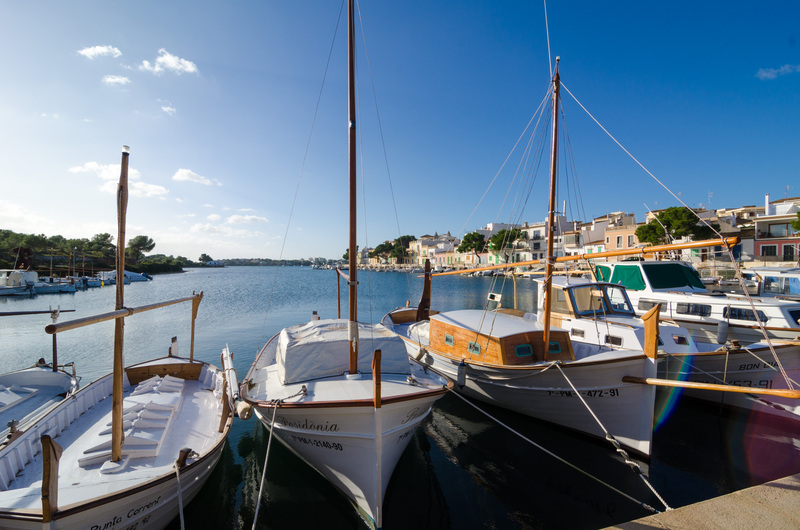 Many attractive beaches are spread all over the east coast and it's up to you where to go. 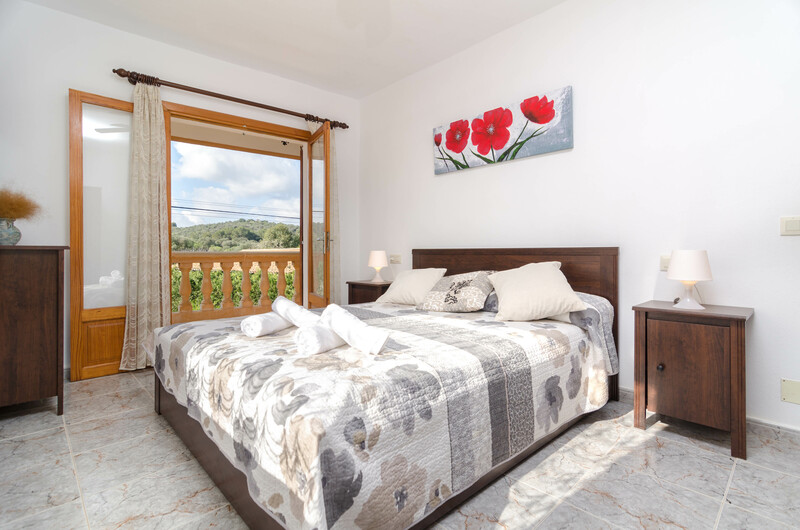 We recommend Cala D'Or, Cala Mondragó, Portopetro, Cala Figuera and Cala Murada. 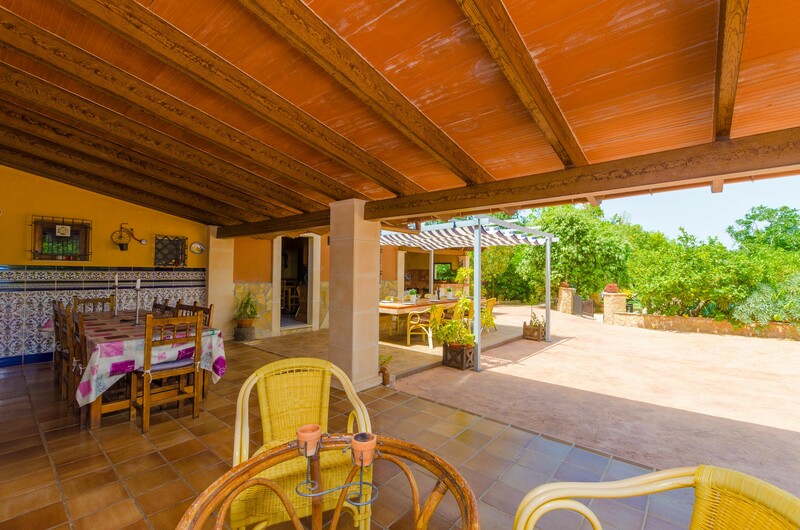 In July and August the changeover day is on Saturday. 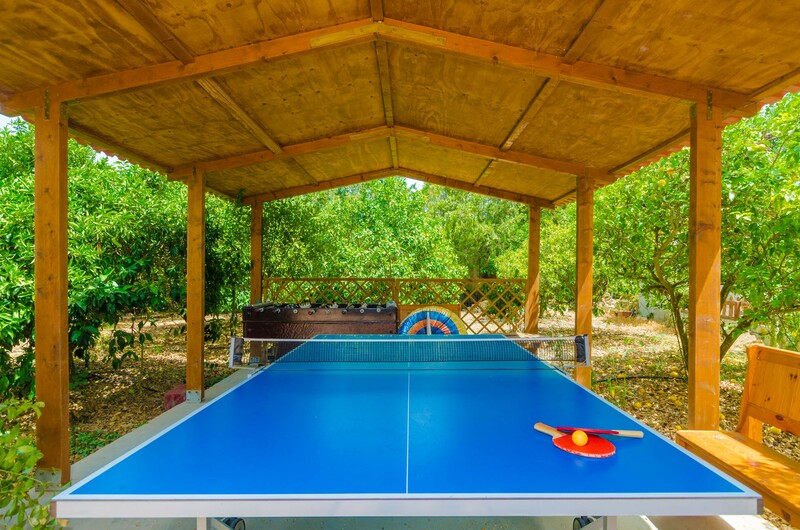 The holding of events (only up to 30 participants) is permitted on request.